Rounding with patients can often lead to concerns that must be resolved by different departments. Service recovery is efficient with a tool that can quickly communicate with other departments. How does Service Recovery Work? Streamline communication by using a tool to send automated alerts to others in your organization to improve patient experience. Quickly and efficiently create tickets for patient, employee, or organization issues. As soon as a ticket is created, an email is sent to the tagged staff member so they can quickly resolve the issue. You can share and communicate issue details by uploading images, tagging locations and assigning tasks. Keep track of which tickets have been resolved or modified through notifications. You will know which tickets are outstanding by viewing all open or closed tickets in a real-time report. Our organizations utilize Service Recovery to resolve a number of issues that leaders uncover at the bedside. Katie Hottovy, Director of Client Services and CMO of Nobl says "One time I was rounding with the director of Physical Therapy on a patient at one of our clients in North Carolina. The patient had been admitted from the ED onto the med-surg unit and was without any of their personal belongings. The patient mentioned that they were an avid reader and was bored from watching TV all day long. Our client utilized Service Recovery to send a service recovery alert to Patient Experience. The CXO got the alert and brought the patient the book cart to select some reading materials." One of the biggest opportunities for service recovery that we see from looking at our clients data comes from the Emergency Department. "One of the most used service recovery departments that we see is the Emergency Department receiving alerts from inpatient units to come speak with the patient." says Katie Hottovy, Director of Client Services and CMO of Nobl. "Patients are often upset about wait times in the ED and they carry that frustration up to the inpatient unit. 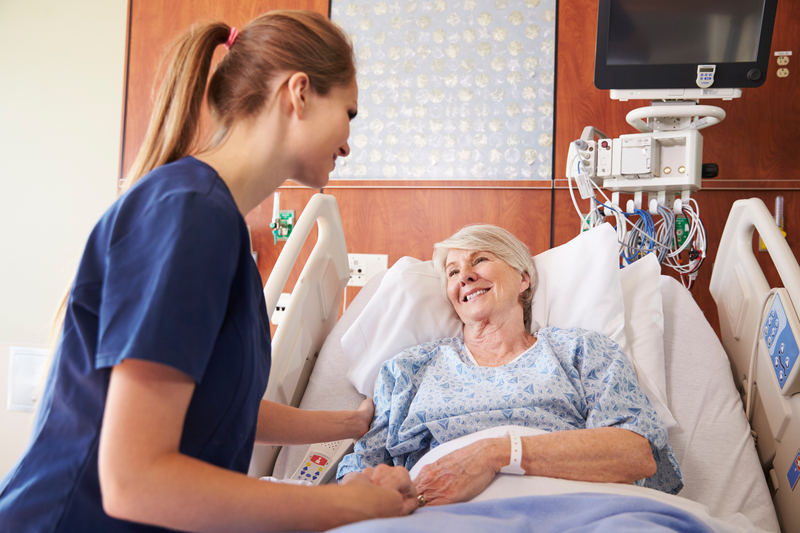 Having a director or manager from the ED come up to the patient's room, apologize, and listen to the patient's concerns can have a big impact on the patient's perception of care." A service recovery tool eliminates the need to manually call, email, or track down individuals to resolve an issue. Maintain the high quality care your patients expect by using an intuitive platform to easily resolve issues.